It's a good idea to use slightly under ripe pears. Heat the water in a pan, add sugar as it warms to dissolve. Stir in butter, vinegar, pepper and star anise and bring to the boil. You need to heat the toffee to hard-crack stage; this takes about 10 minutes, after which a small drop spooned into cold water will go rock hard and sink to the bottom. 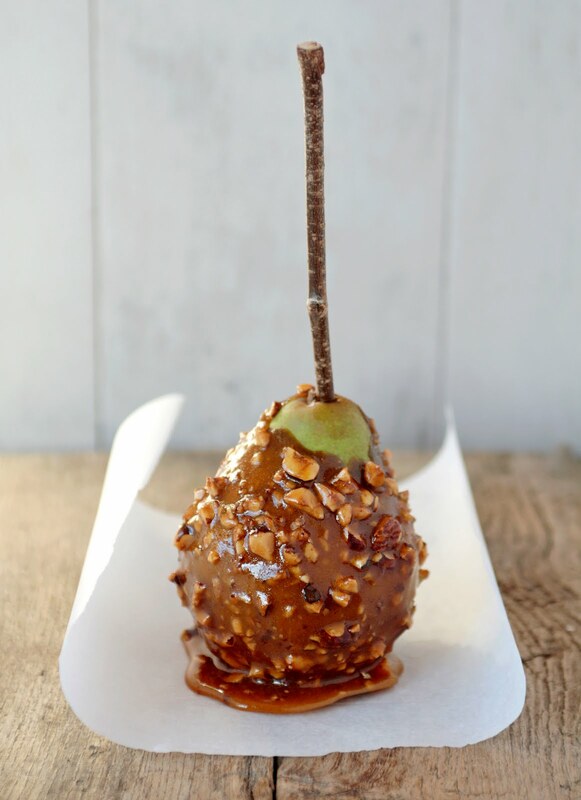 Stir in nuts, poke a stick into the top of each pear and coat in nutty toffee. Consume with youthful abandon. Thanks for so rare and exceptional recipe.I have to try it.